This observation shows the Southern latitude Hale Crater, a rather large, pristine elliptical crater approximately 125 x 150 kilometer in diameter. Hale Crater possesses sharp features, impact melt bodies ponded through out the structure and few overprinting impact craters. 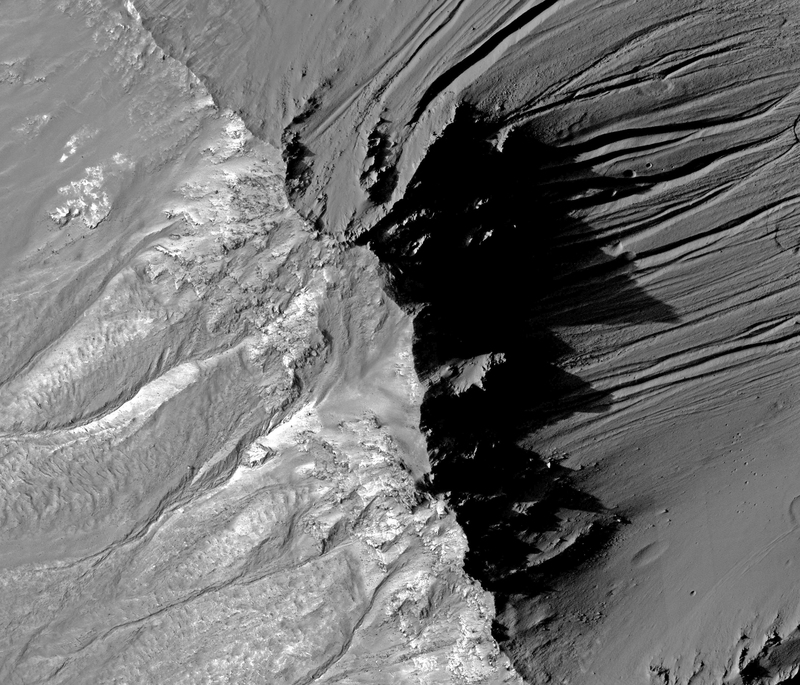 These attributes indicate that it is relatively young and certainly well-preserved -- likely the youngest crater of this size on Mars! Present on the crater walls are a large number of gullies, some with light-toned deposits. The gullies visible here are very well developed, and many are cut deeply into the crater walls. Several have braided channels suggestive of repeated flow. Some of the gullies have boulders littered throughout their channels. This could be a result of a fluid preferentially transporting smaller particles and leaving larger rubble behind. The composition of the light-toned deposits are currently unknown. The CRISM visible-infrared spectrometer, HiRISE's sister instrument on MRO, may be able to shed some light on the composition of these materials. 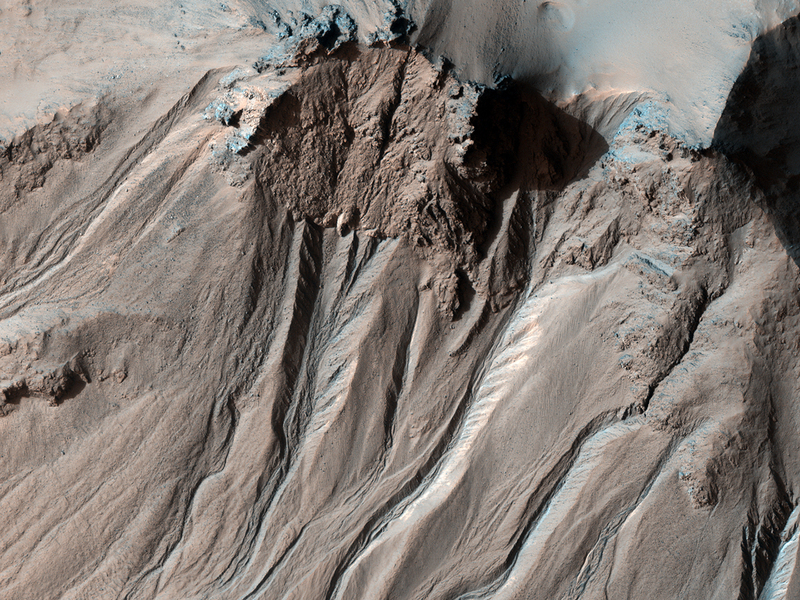 In one place along the crater rim gullies are visible on both sides of the rim. This has only been seen in a few locations on Mars. This is a stereo pair with PSP_003209_1445.